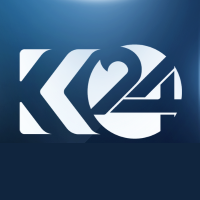 Kurdistan 24 aims to broadcast and disseminate both Kurdish and international news with the intention of „transforming the media landscape in Kurdistan”. Their news team also covers the issues and events in the Greater Kurdistan region, beyond the Iraqi area, providing information and analysis. In addition to looking at the political and social issues, Kurdistan 24 also has space for cultural and regional topics. Kurdistan 24 journalists travel the four regions of Iraqi Kurdistan covering breaking news and cultural events. There is also much time dedicated to sports in the channel’s coverage; match results, game reviews, and interviews with sportsmen and women. Sports coverage is as much an integral part of Kurdistan 24’s coverage as its news output is. You can also find exclusive interviews with transcripts of these interviews posted online. Their journalistic team provides viewers with insights, analysis and coverage of breaking events in Kurdistan and the wider Middle East region, also giving contextual information for those viewers who are less familiar with the Kurdish region, history and culture.